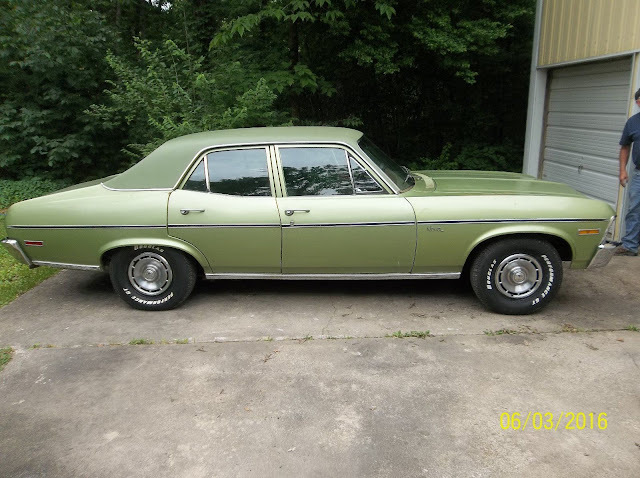 Find this 1972 Chevrolet Nova Sedan here on eBay bidding for $6,950 with auction ending today (Friday) at 1140AM Pacific. 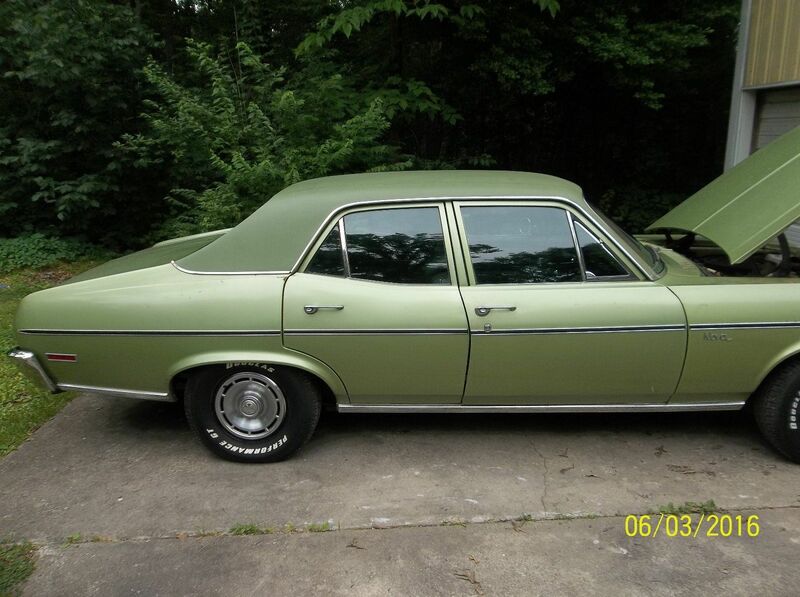 True survivor---1972 Chevy Nova---10000 miles on odometer--parked in a carport since 1979----all paperwork(protecto-plate etc) with car--this car is fantastic---all gauges work--not sure about factory air conditioning--power steering---the interior is immaculate. Because it was parked in a car port, the exterior was exposed to critters and weather conditions---as a result there is some minor surface rust issues on front fender and upper trunk area. The vinyl top is perfect and looks great. Obviously the muffler is shot as well as the tires(new wheels and tires are on car and the original tires and wheels go with the car. The spare tire and jack have never been out of the trunk. There is a very low reserve on this car and if you are looking for a great older daily driver in pristine condition, look no farther. If you just want to own a very affordable collector car, then this is for you. This car has just had a tune up and is ready to go. All the glass is in perfect condition. 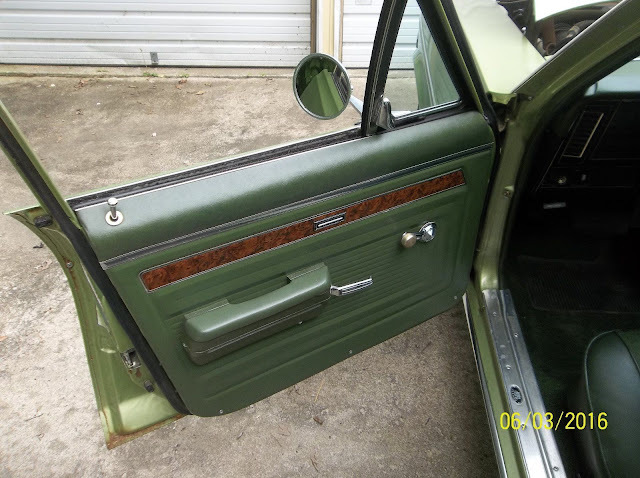 P.S.--The latch on pass side of car was frozen--I removed door panel and latch and have new one on the way--it will be fixed prior to sale and also the steering wheel had a chunk cracked out of it on--it will also be replaced prior to shipping. This is really a great car, that is for sale locally as well. 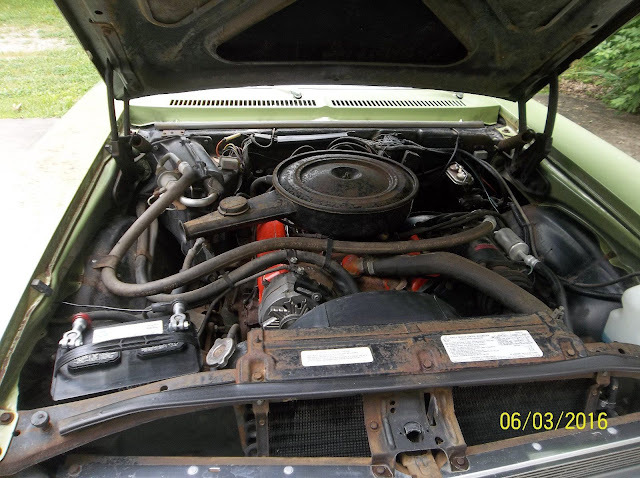 I drove our shops EL Camino with a 307 Gutless and thirsty bring a 327-350, Just saw a Bright yellow one 70-72 2 door in a shop near me was going to stop and check it out may go back down today ! 1974 2 door guy has been hard on the brake pedal but could be a winner @ lower price point ! That is a lot of money for a more door. The 74 has some pretty big and ugly bumpers but can be converted to look like and earlier model pretty easy. Sedan > coupe IMO. And this is the right year. I remember a time not all that long ago this'd have been a $1200 car. Think I've said before that these days almost anything pre-bumper looks to be worth real money.